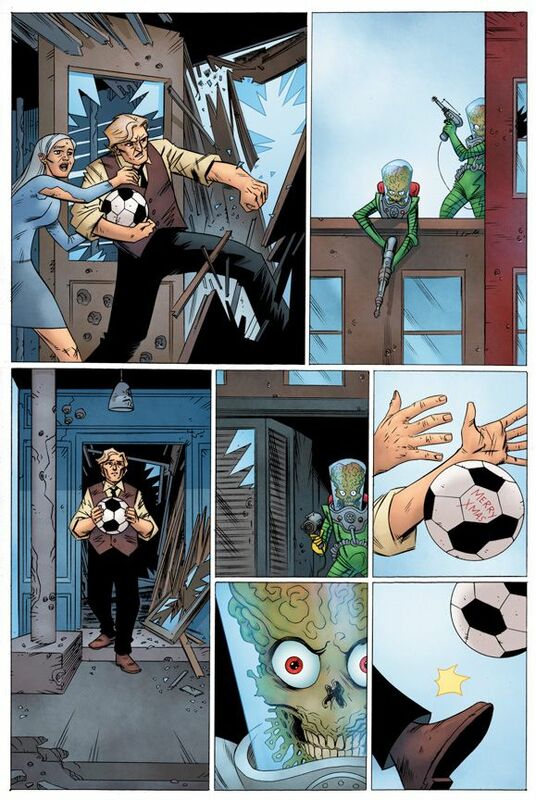 I wrote and drew a “Mars Attacks Christmas” story (colored by Allen Passalaqua) for the Mars Attacks The Holidays special (published by IDW) that came out today in most comix shops across the nation. My story takes place at Fort Defiance in my beloved Red Hook, Brooklyn, which was recently hit hard by Hurricane Sandy but keeps strong. The special also features stories by Fred Hembeck, Bill Morrison, Ian Boothby, Tone Rodriguez, Alan Robinson + More. Big Ups to editor Denton Tipton for conceiving the anthology. "By far, the stand out tale in this jam book is the Dean Haspiel Christmas tale that has a group of survivors holed up in a building in Red Hook, New York, against a small detachment of Martians. Mixing old military history and adding it to the situation really makes the tale an intelligent stand out in the book." "Christmas is written and drawn by Dean Haspiel with colors by Allen Passalaqua. It’s actually a heartwarming tale that mirrors the old WWI tale where German and British troops came together on Christmas and celebrated together. This one doesn’t feel like a straight Mars Attacks story, but it works brilliantly. The heart brings up the rear in this collection." 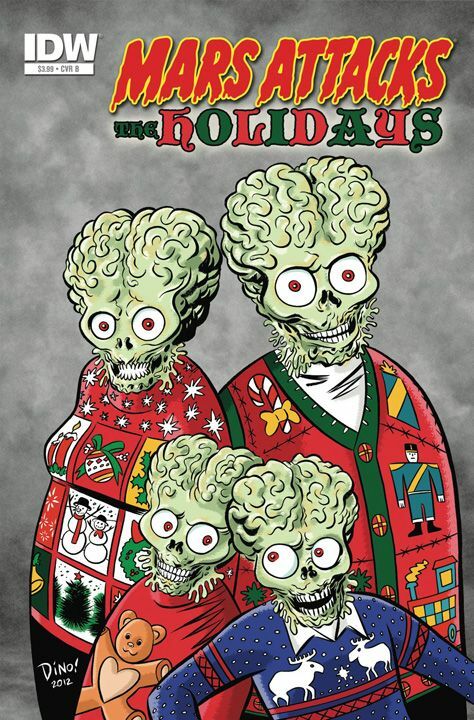 "The most serious and the best of the tales is Dean Haspiel’s ” Mars Attacks Christmas.” Haspiel plays off of the WWI urban legend, though many say true story, when the British and German troops called a truce, a momentary ceasefire, on Christmas day. During the war between Martians and humans, both sides call for a truce on Christmas. The survivors mourn their dead, and the Martians carry their fallen comrades away. The rebel fighters and Martians join together in peaceful harmony singing “Silent Night.” Haspiel kicks in the sadness as Christmas is over and war continues the next day." "Christmas, written and illustrated by the always rock solid Dean Haspiel with letters from Chris Mowry and colours by Allen Passlaaqua is maybe the most realistic work from Haspiel I’ve yet seen, as a group of Brooklyn locals find historical reference amidst the now ongoing war. Not as absurd as the other samplings, but surprisingly emotive in its message. We see a truly different side to the Martians, for sure, in what is certainly the best tale to close the book. Actually, I foresee a nomination for this one at next year’s Eisners or Harveys."